We specialize in Cory-Merrill Real Estate and making the ease of searching for new homes, condos and land listings a pleasurable one. Our expertise in the Cory-Merrill neighborhood means we have the market knowledge and experience to make buying or selling your home a rewarding and profitable endeavour. Be sure to Save Your Search for any property updates, such as new listings or price changes. 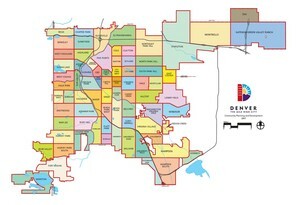 Cory-Merrill which is located just south of Bonnie Brae and just east of Washington Park is a neighborhood that originally was established in 1858 as a dry town in what was formally called South Denver. Over time that certainly changed and Cory-Merrill, which was annexed by the city of Denver in the 1920's, is known for being a peaceful residential area in the middle of the city. Its close proximity to Colorado Boulevard and other commercial areas such and Old Gaylord St in Washington Park and Cherry Creek make it a convenient and popular place to call home.